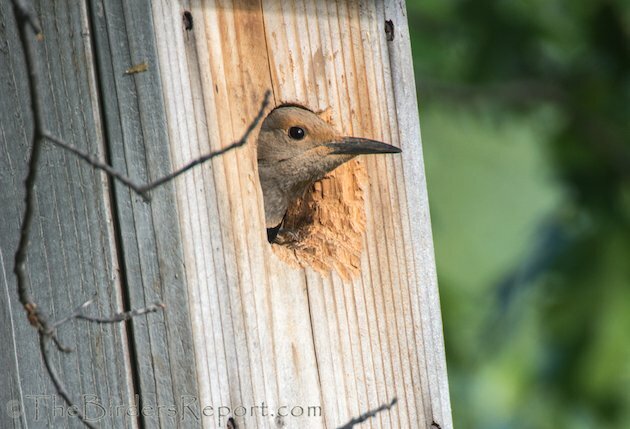 Three years ago I placed two Northern Flicker (Collaptes auratus) nest boxes on a couple of oak trees on my property, hoping to attract a pair of nesting Flickers. They’re pretty easy to make with one ten foot length of 2X8 as seen in this diagram. I skipped the hinges on the box lid and simply screwed it on. I packed the box with cedar shavings, simulating a snag with decaying wood on the inside, and I waited. Three years I waited. Then, a couple of weeks ago, my wife is looking out the window and says “hey, what’s going on out there in that tree?” It looked like it was snowing. The male Red-shafted Flicker was tossing the shavings out the entrance! I ran to get my video camera but it was too late. He was done excavating the cavity in the box. 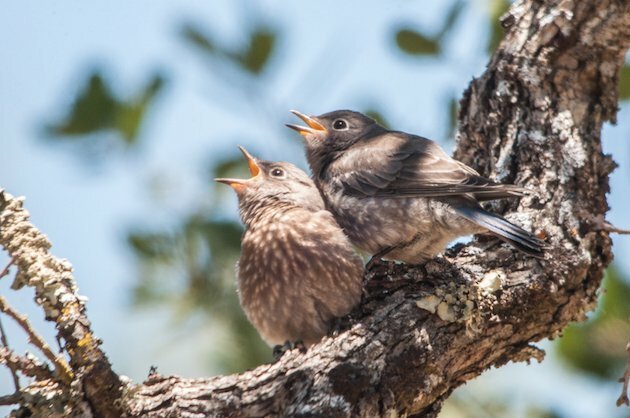 The male will beckon the female to the nest site with a ritual tapping at the cavity. 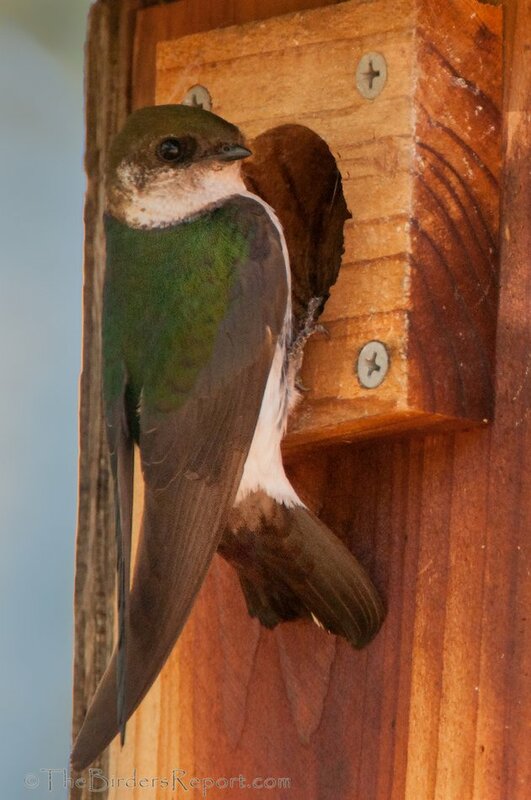 In this case he is calling her from the inside of the nest box. 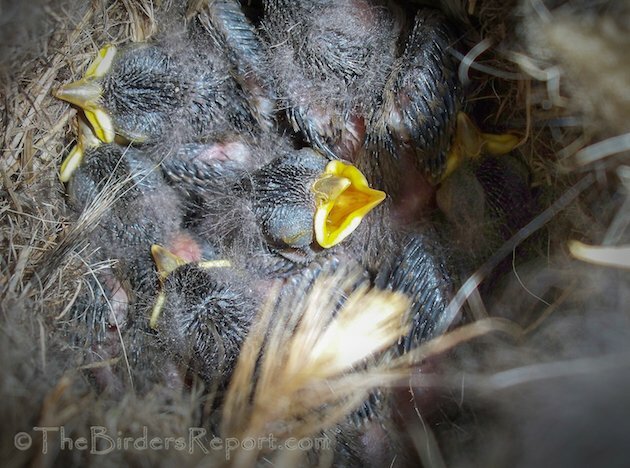 Both sexes participate in cavity excavation, but the male plays the dominant role. 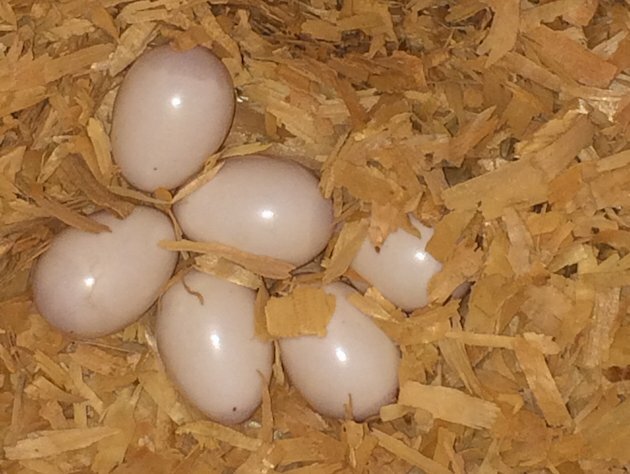 The female lays 6 to 8 smooth, glossy white eggs which both adults incubate for 11 to 13 days. 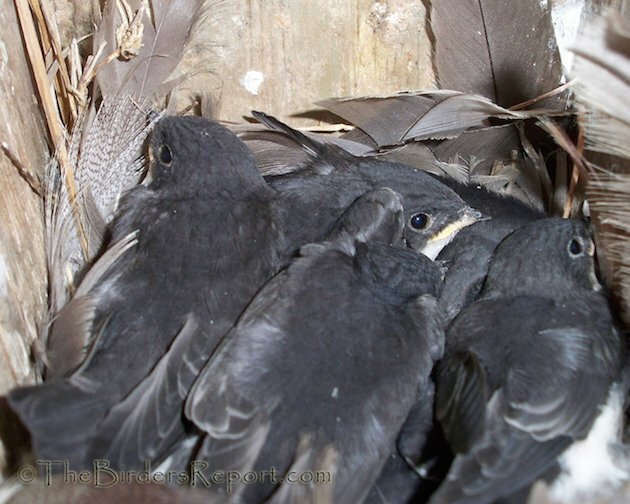 Except in rare cases, the male does all nighttime incubation, switching with his mate just after sunrise and just before sunset. 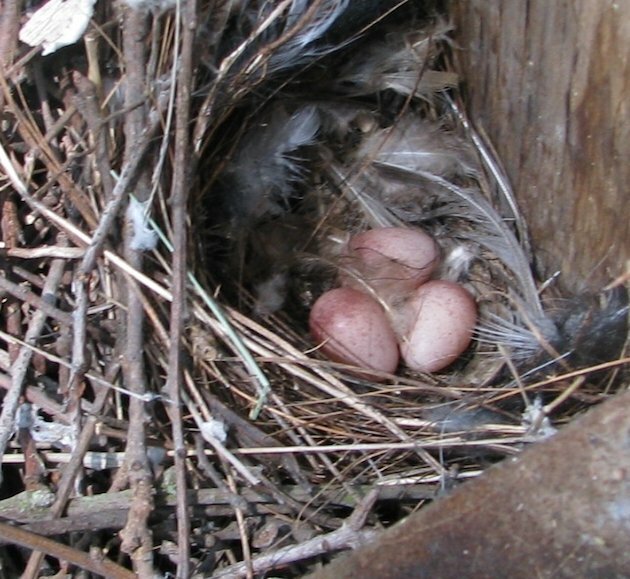 I removed the lid after the female left the nest box to get this shot of the eggs, just before sunset. 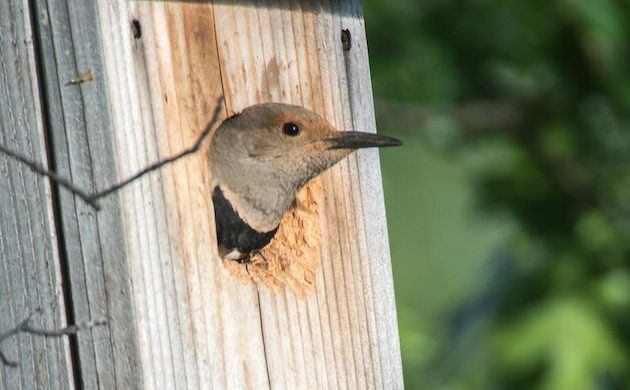 I’m looking forward to documenting the nesting of my first pair of Northern Flickers raising a brood in my Flicker Box! Really cool Larry, thanks for putting up so many artificial cavities. 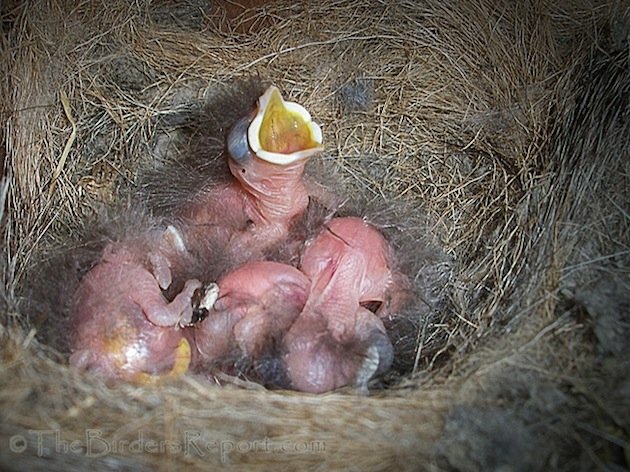 It’s a bit of work monitoring all of them but it is so much fun watching the little ones grow and leave the nest it’s well worth the effort! 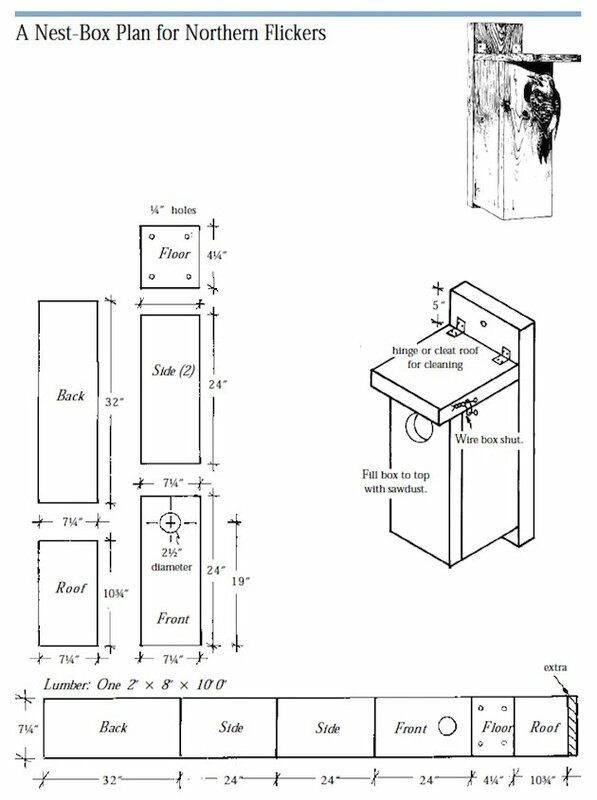 Thank you for the nest box plans. How high up did you site it? Thanks Clare and Grant! 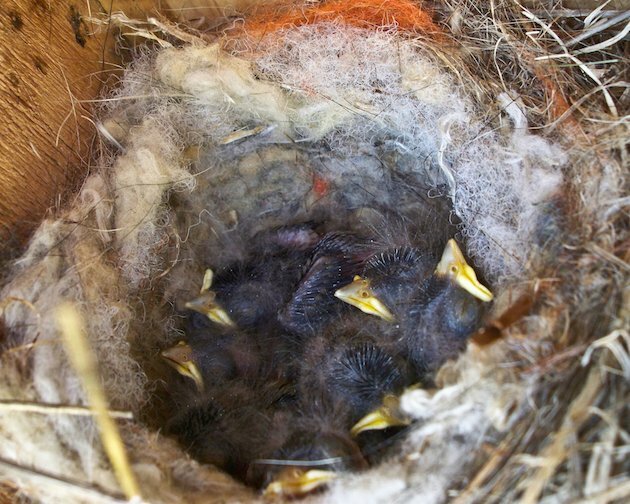 Monitoring nest boxes is a very rewarding endeavor.